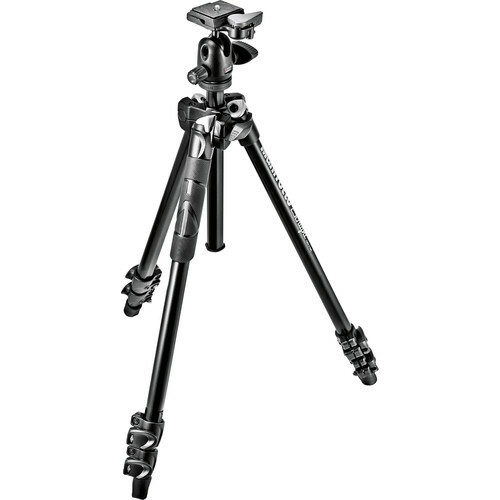 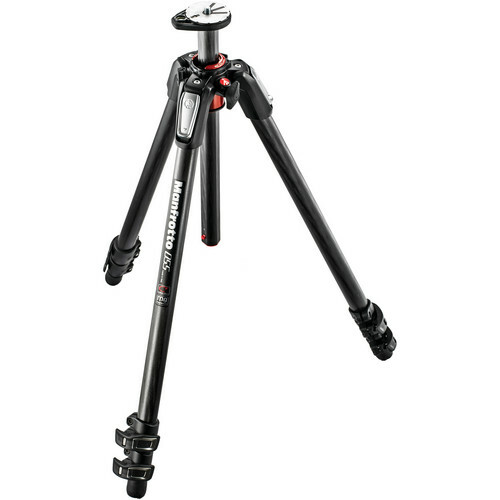 With a maximum height of 61″, the PROMASTER 7100 tripod is the ideal choice for a basic all around tripod. 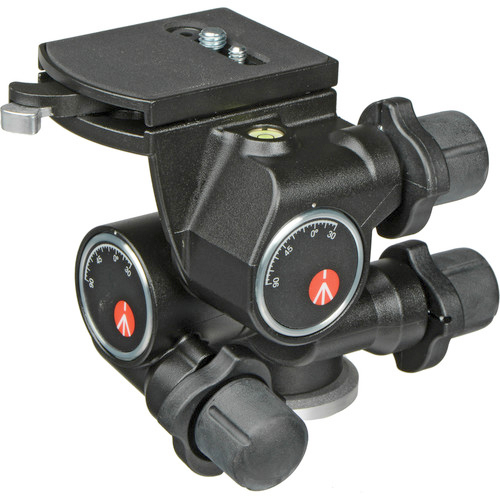 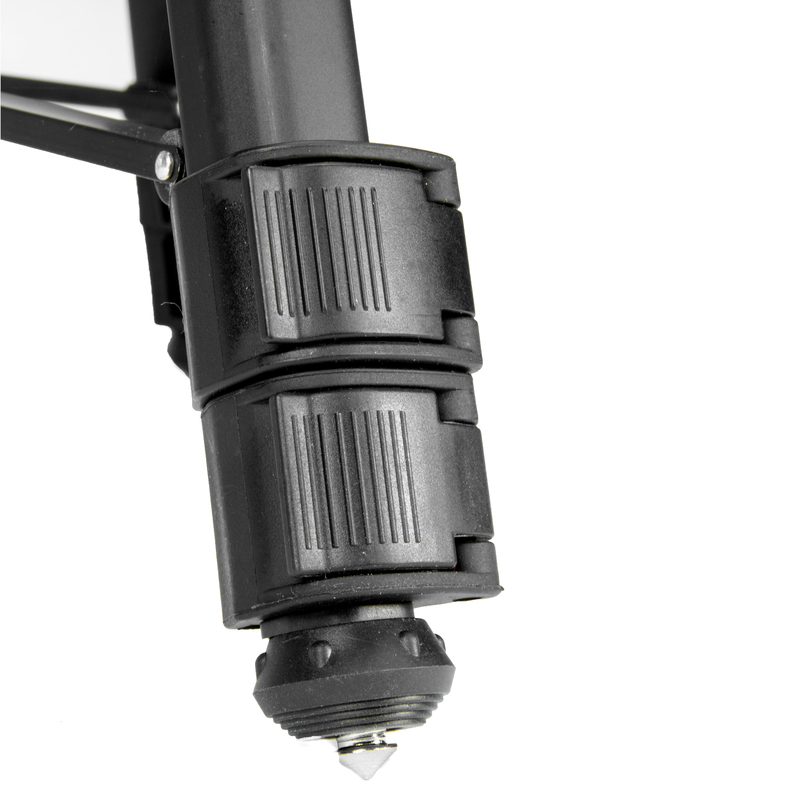 It features a 3-way all metal pan head with a quick release platform. 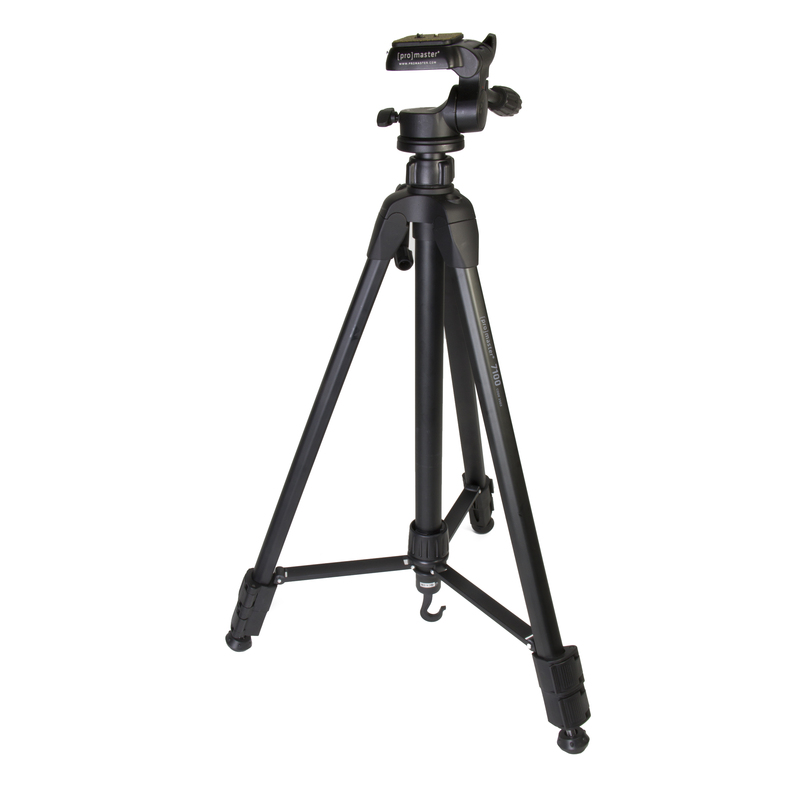 The 3-section rhombic legs are center braced and have spiked feet which allow for a sturdy balance on any surface. 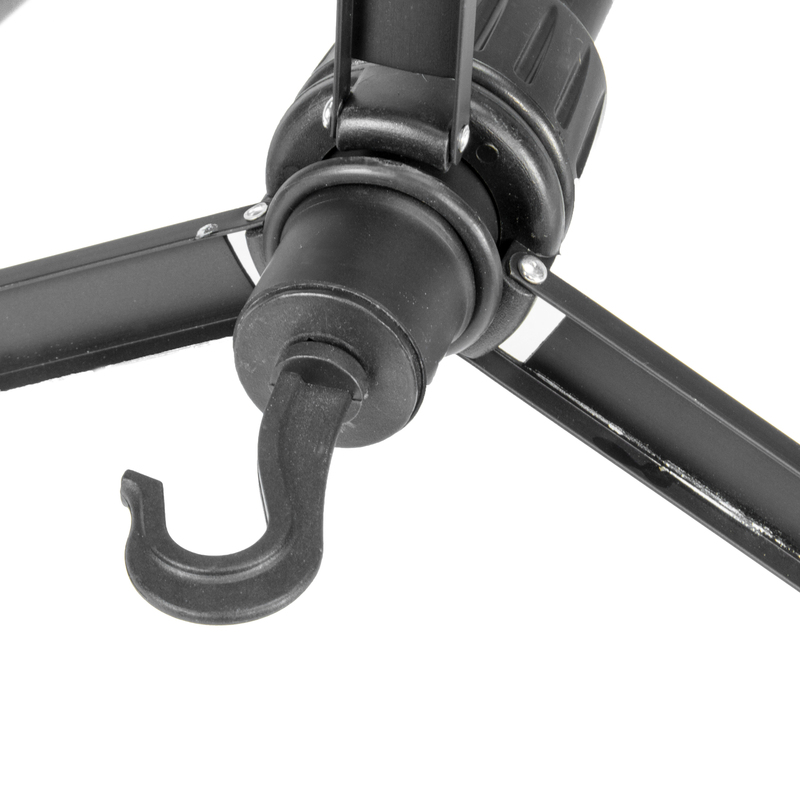 Its geared center column allows for easy height adjustment. 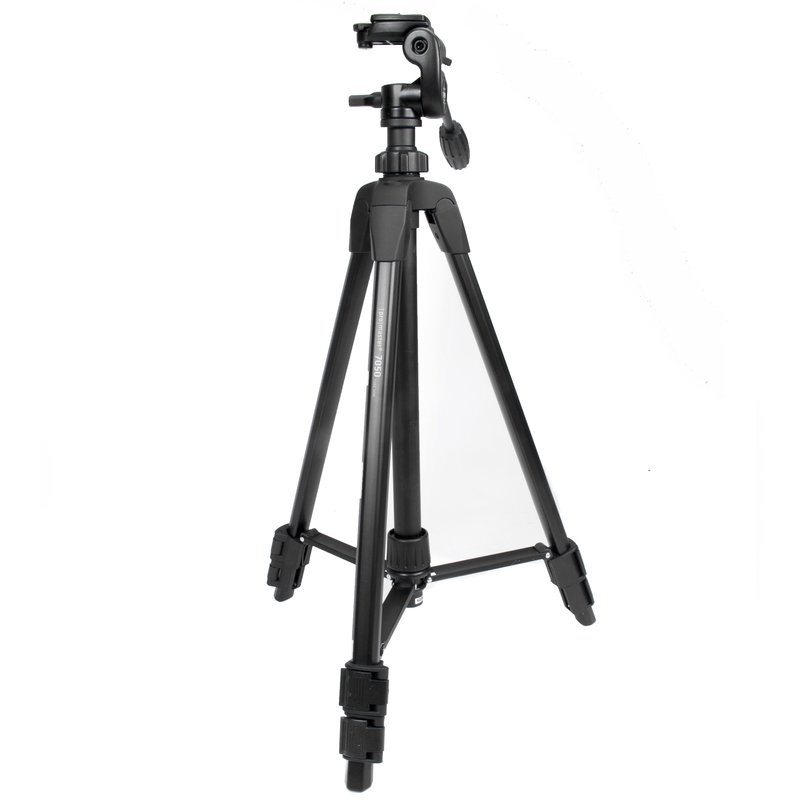 A bubble level is mounted on the tripod body as well as on the head for precise positioning.